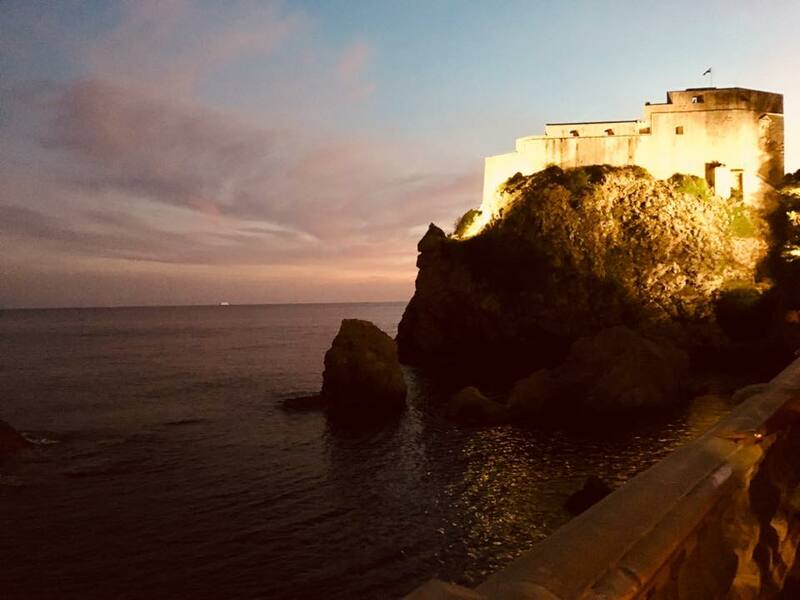 Dubrovnik is more than King’s Landing. 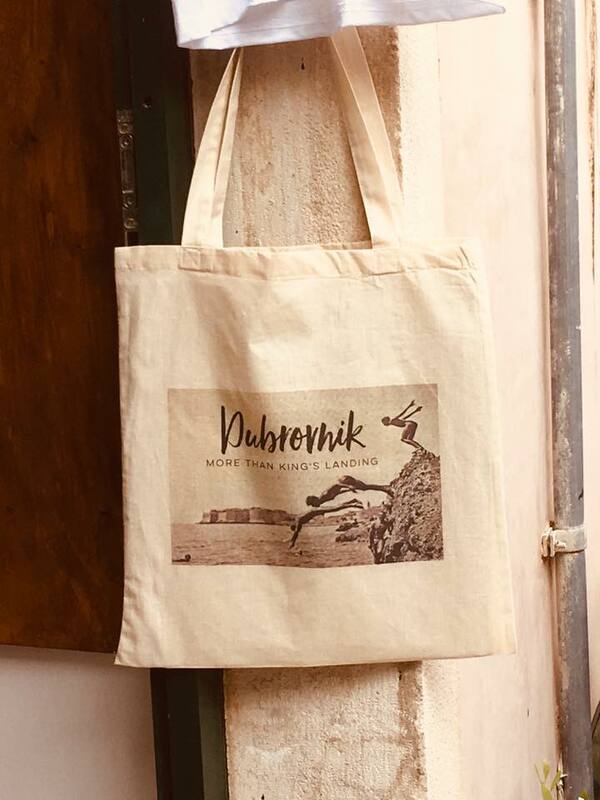 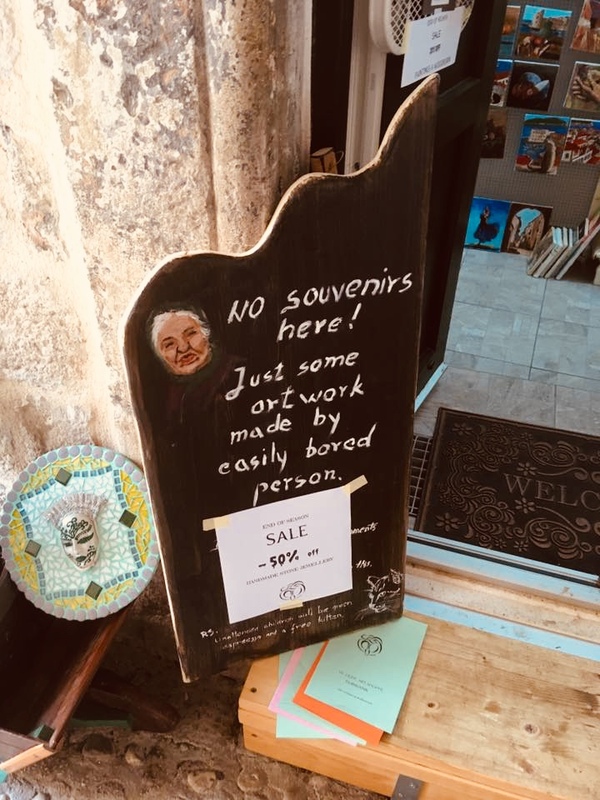 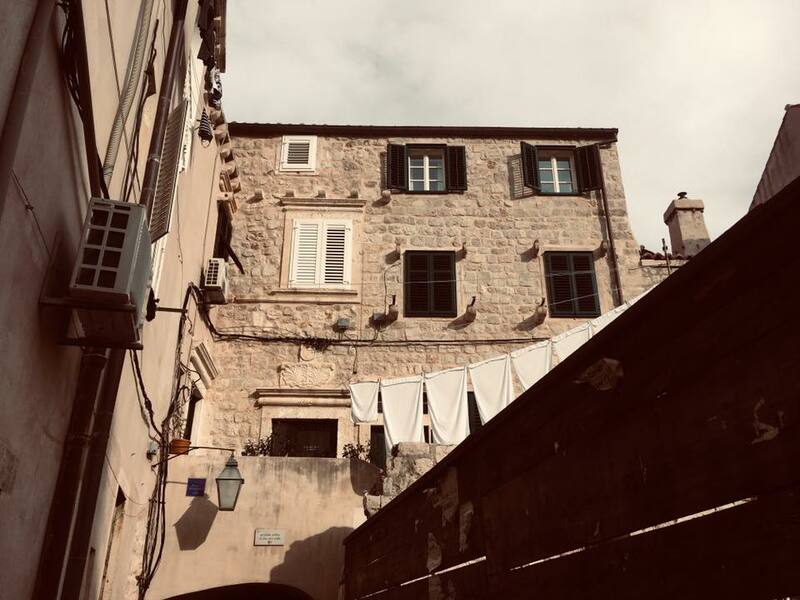 No words are truer than these six printed on a cloth bag I found, hung casually for sale on the door of a little art boutique in the Old Town in this gorgeous Adriatic city. 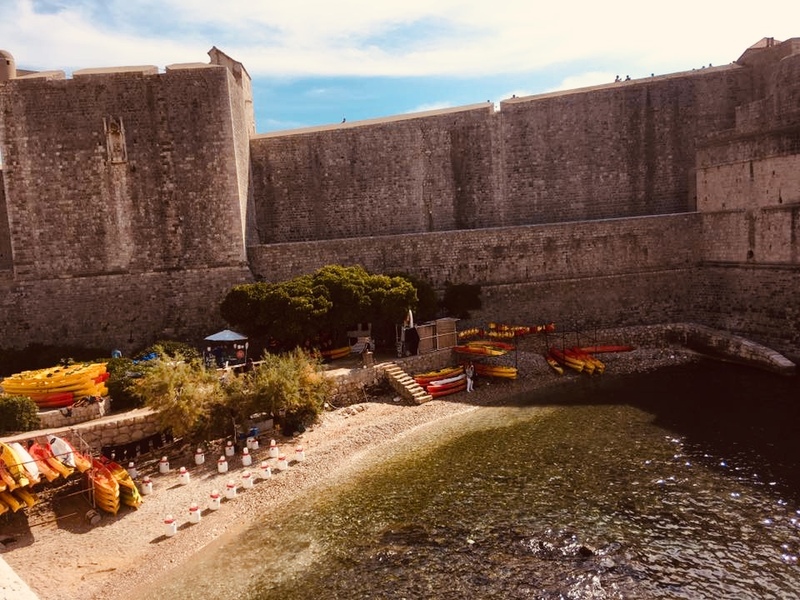 A midweek visit in October to this picturesque and up-and-coming tourist hub was just the ticket for our last holiday of 2018. 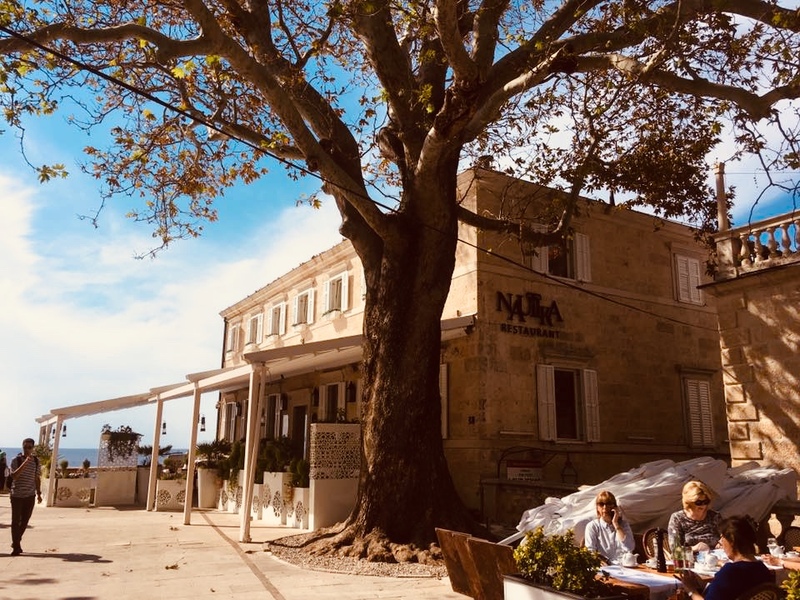 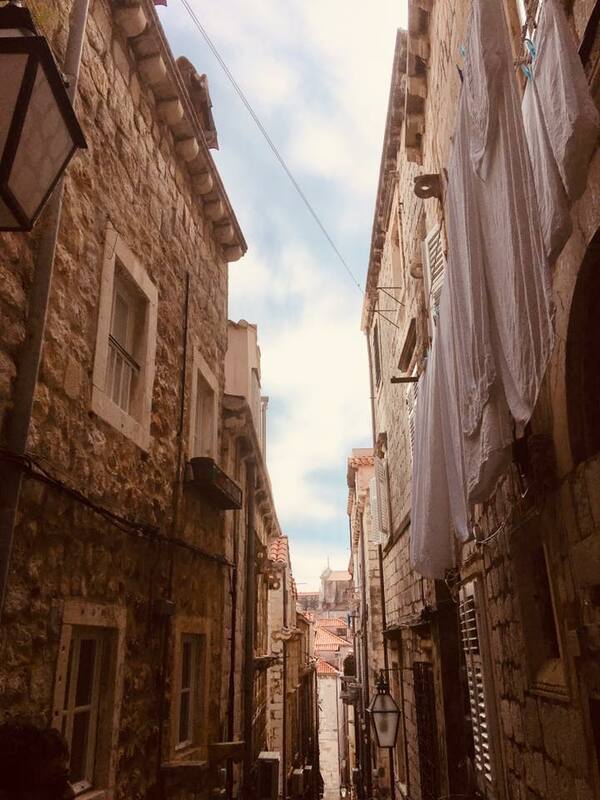 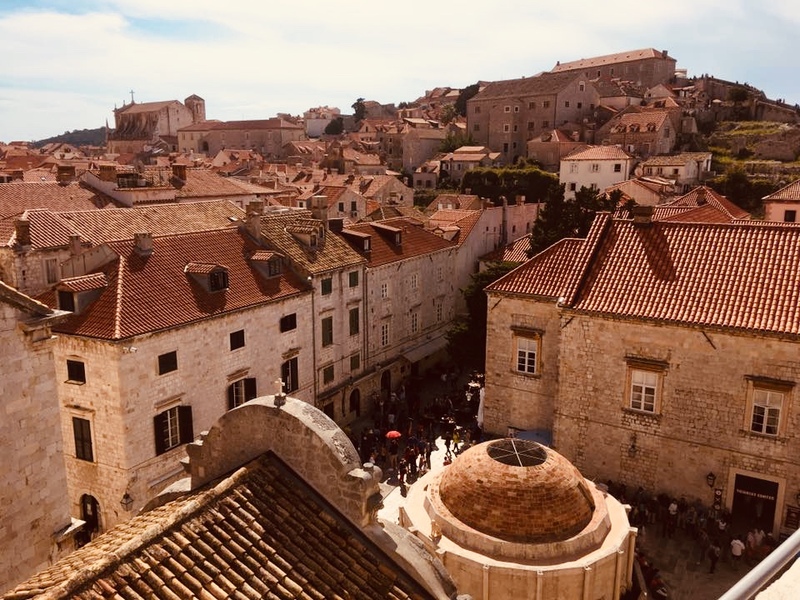 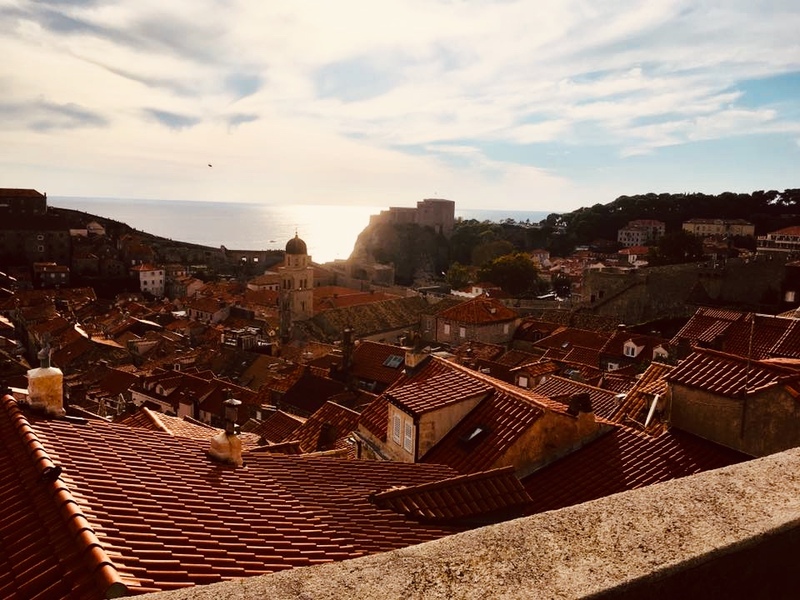 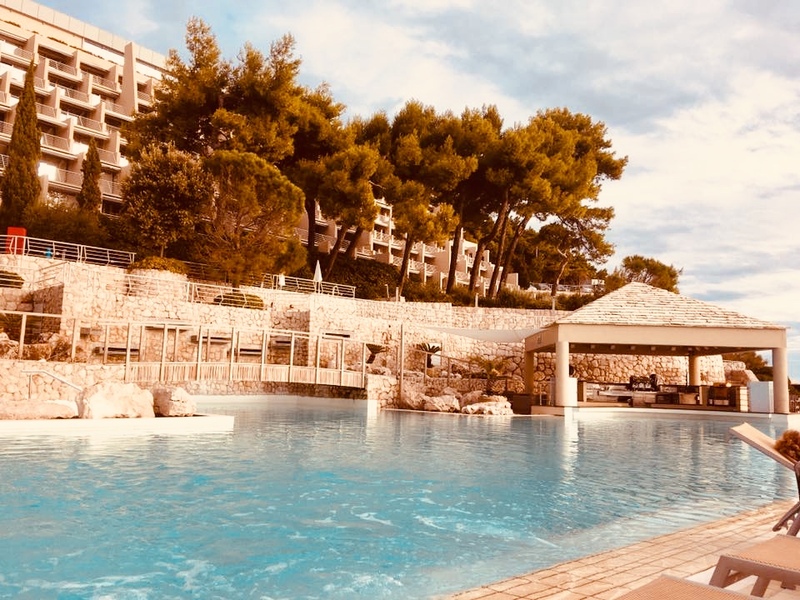 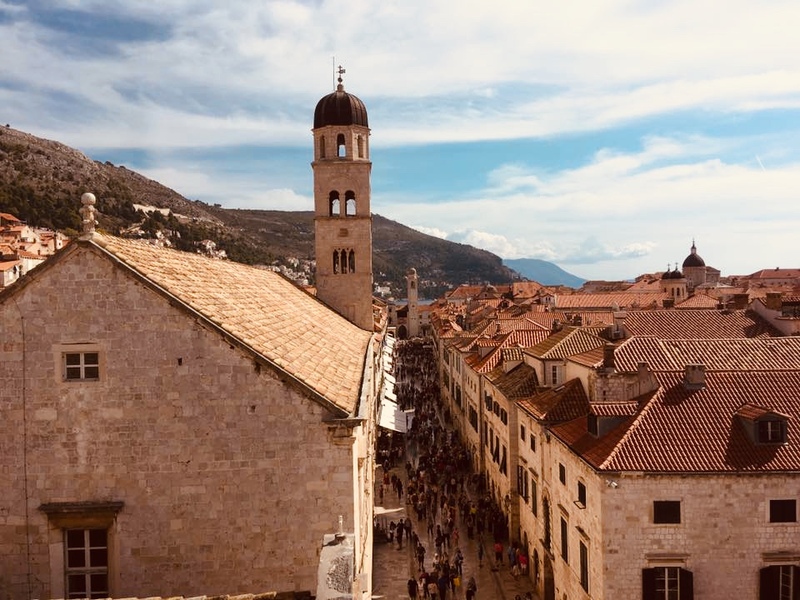 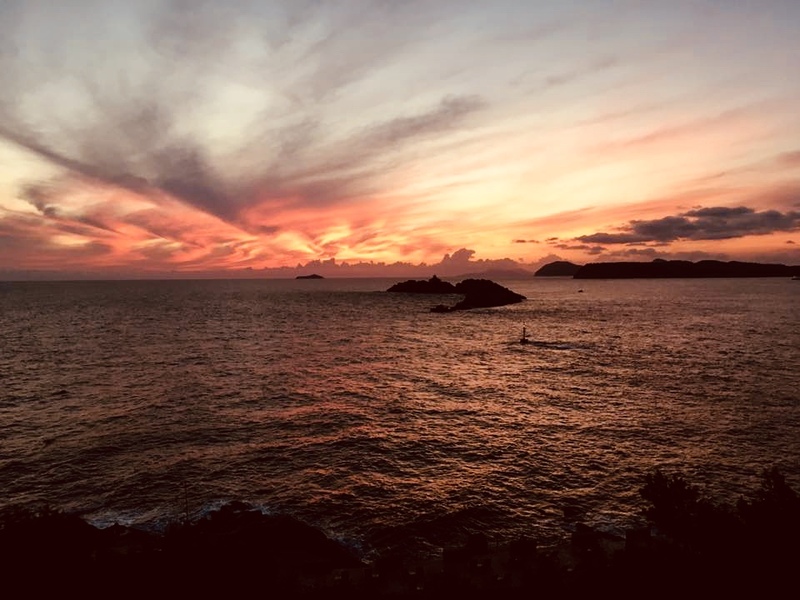 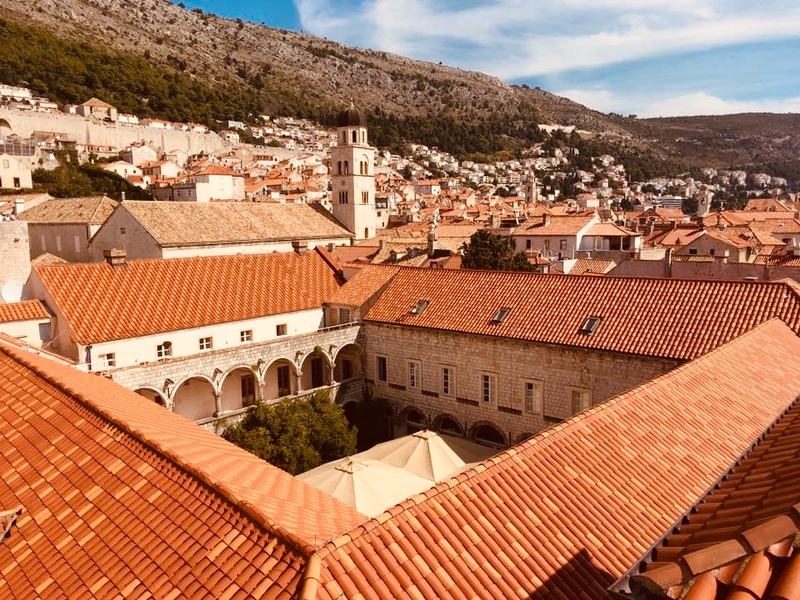 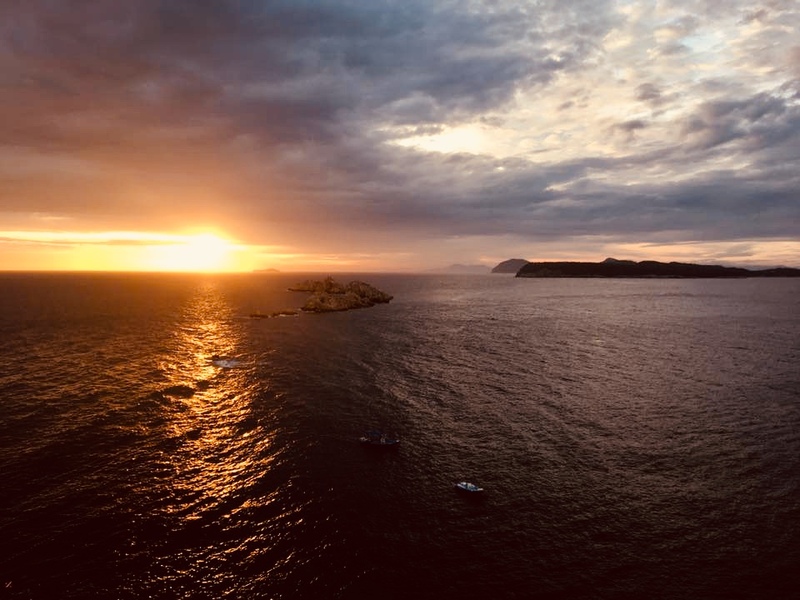 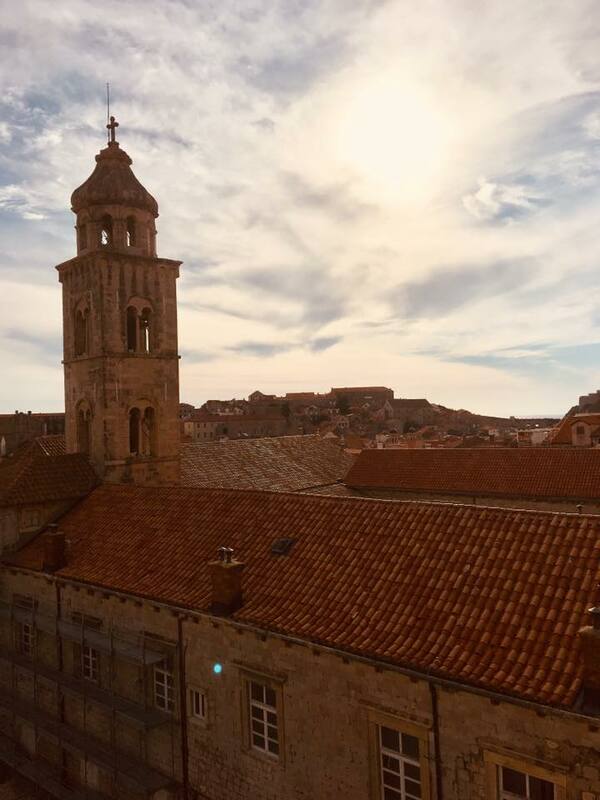 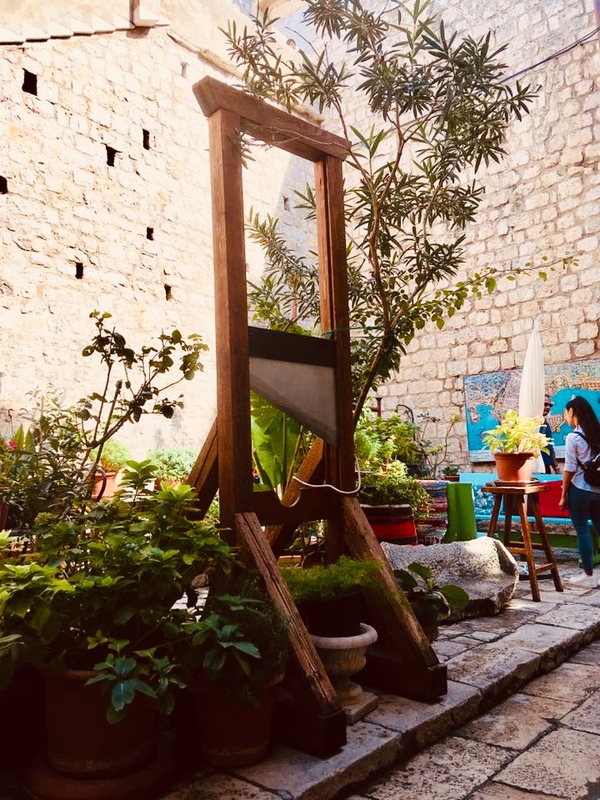 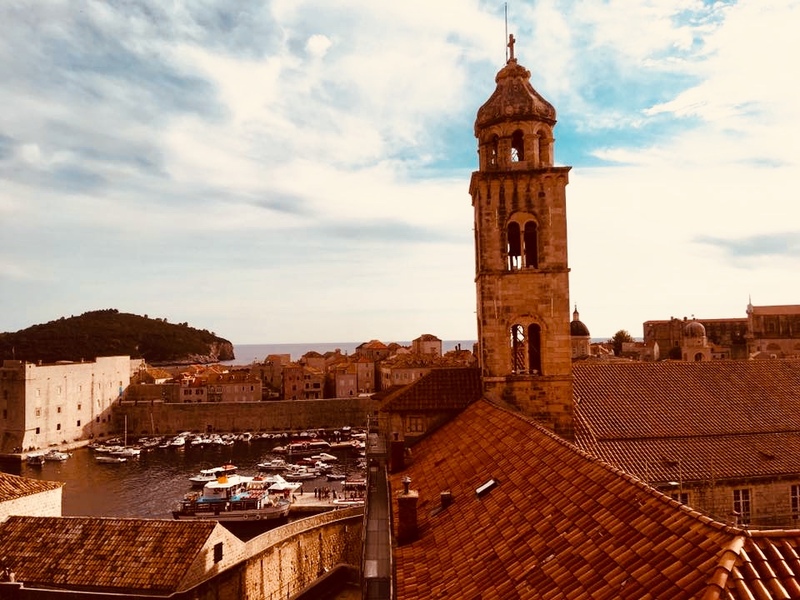 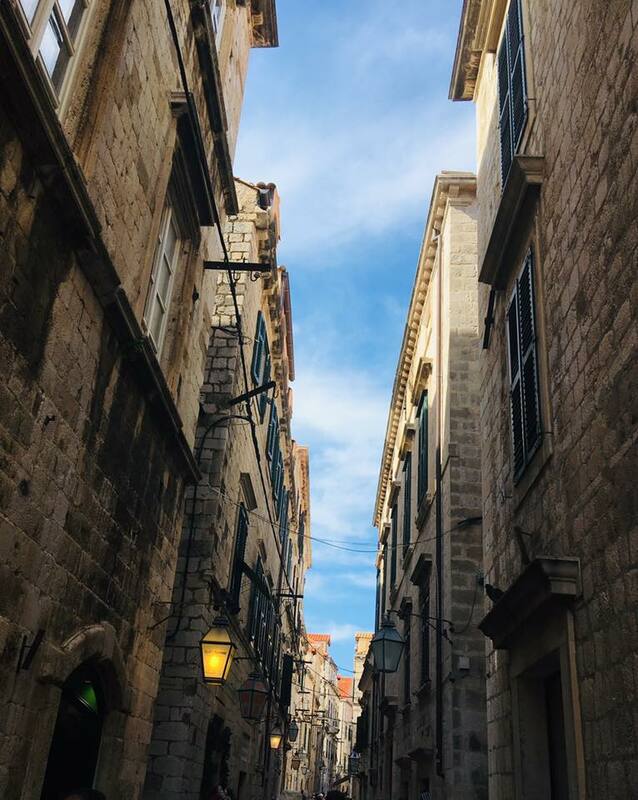 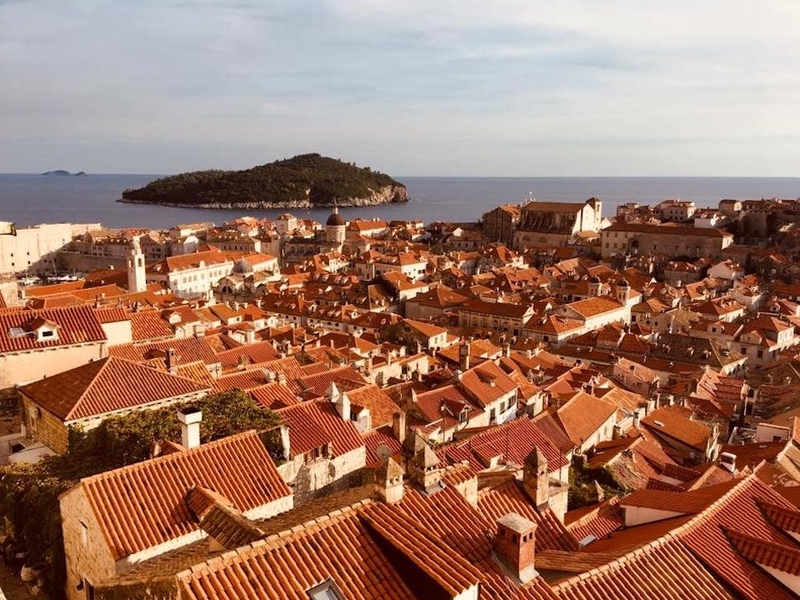 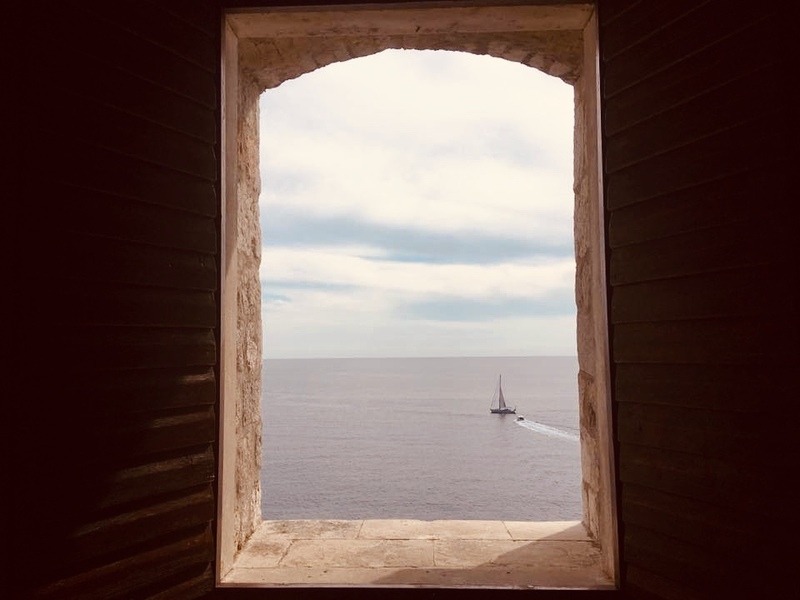 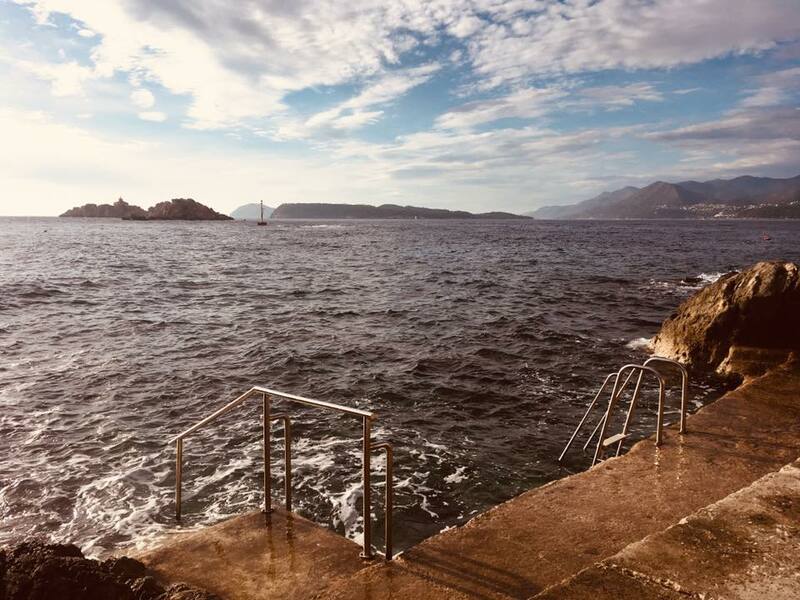 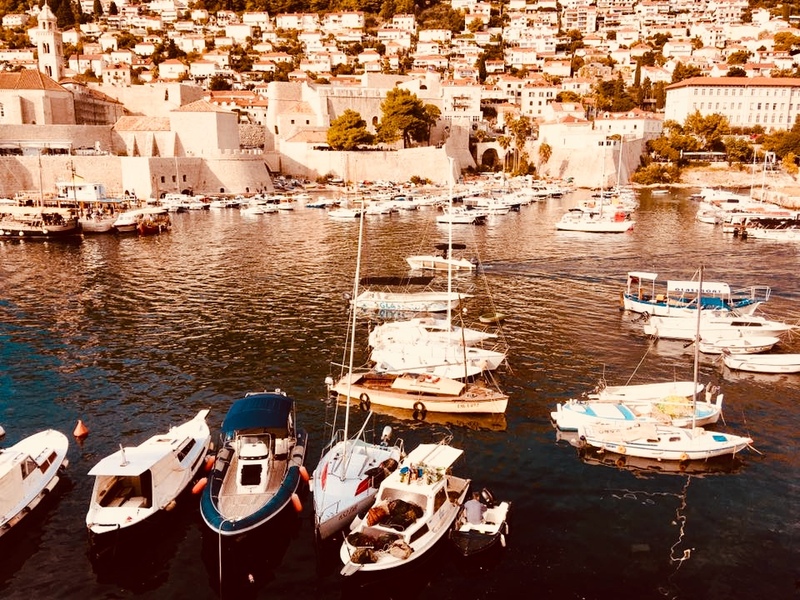 Known to many as the above; that is, the filming location for the capital city of Westeros in the HBO hit TV series, Game of Thrones, Dubrovnik and its surroundings has really shot up in the popularity stakes in recent years. 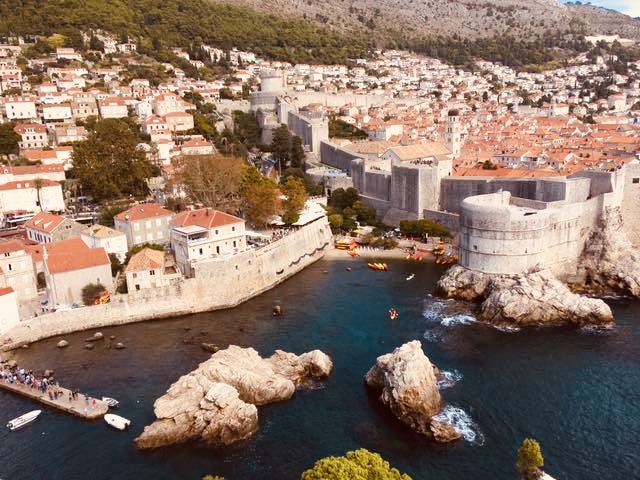 Millions now flock annually to this beautiful place – on planes, trains and automobiles…but mostly by cruise ships. 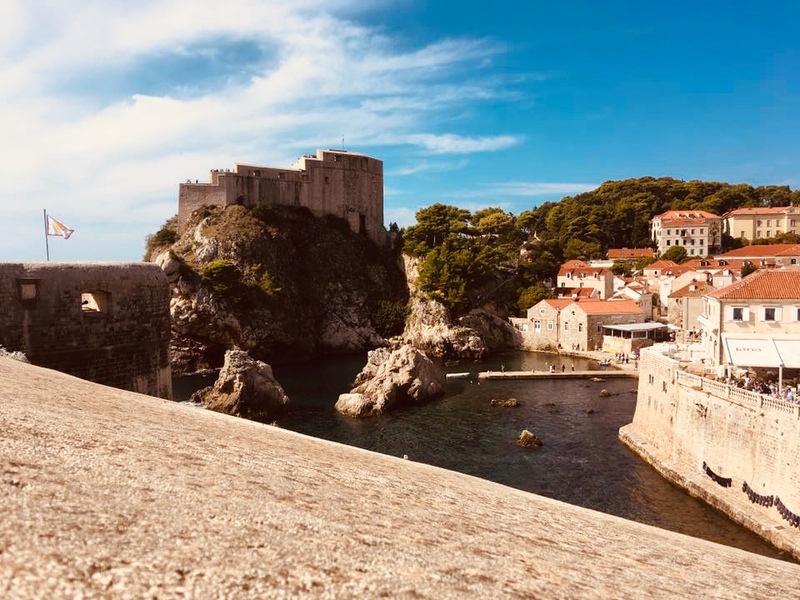 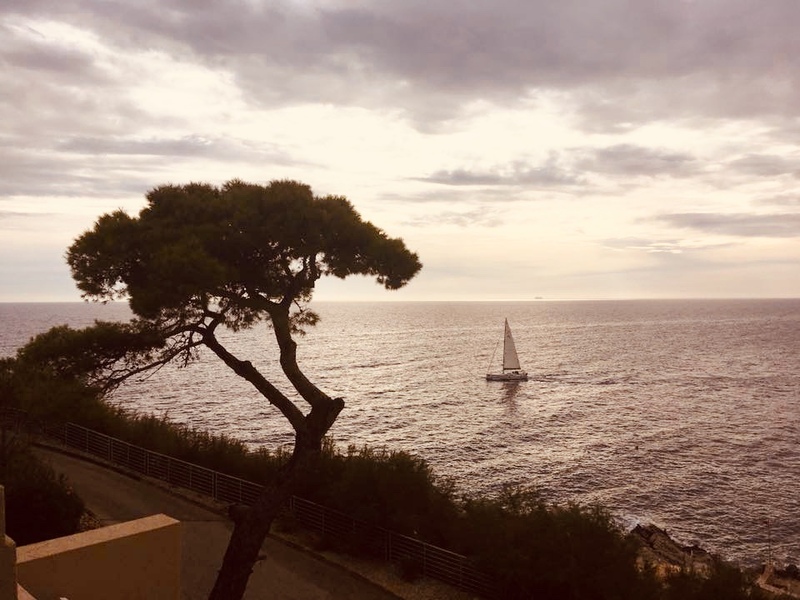 From 2019, a cap is to be implemented by UNESCO on the number of visitors to the area by liners in order to preserve the natural beauty and history that this destination offers – and my, oh my, this is delivered in abundance. 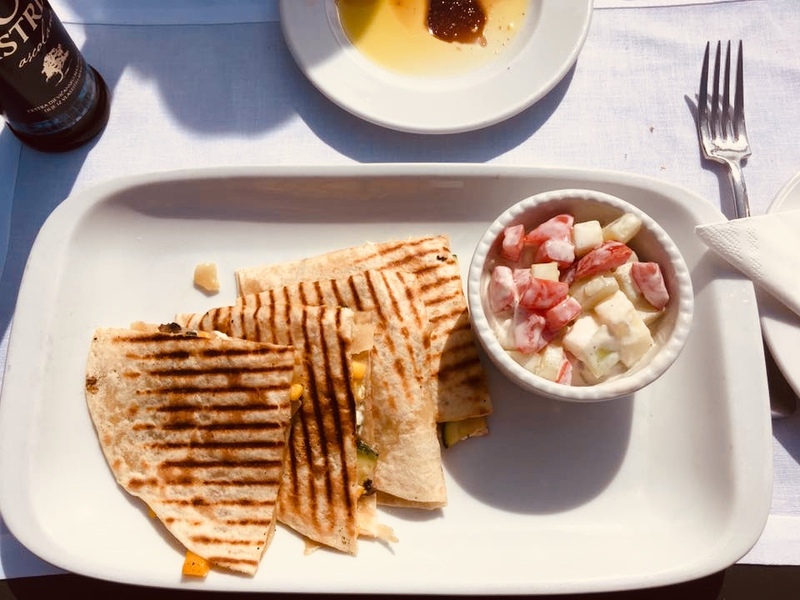 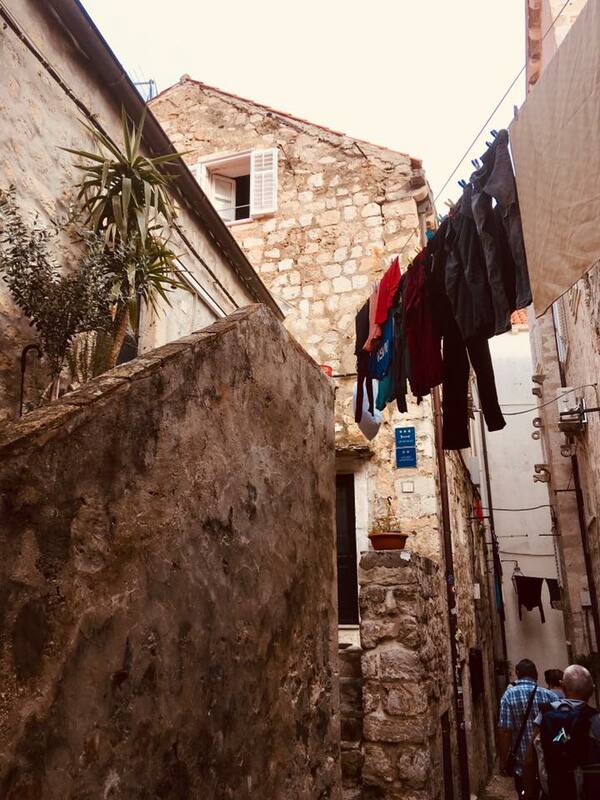 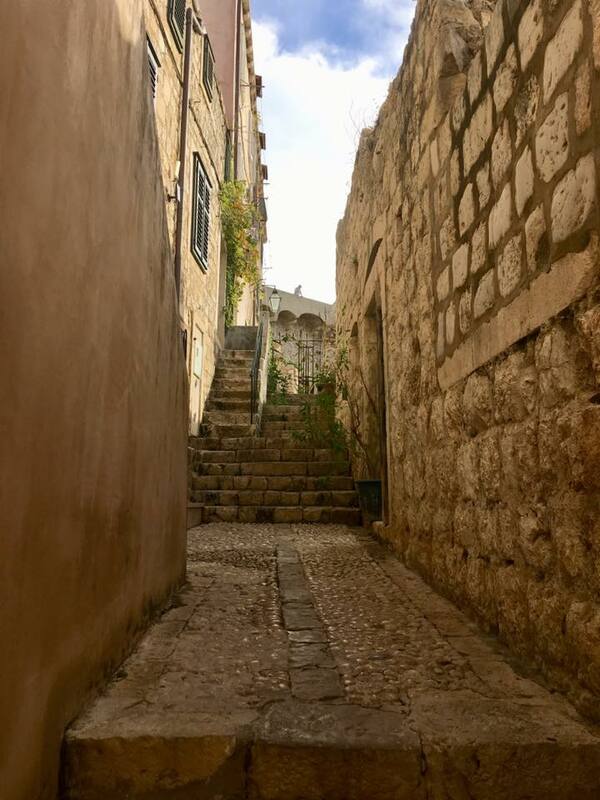 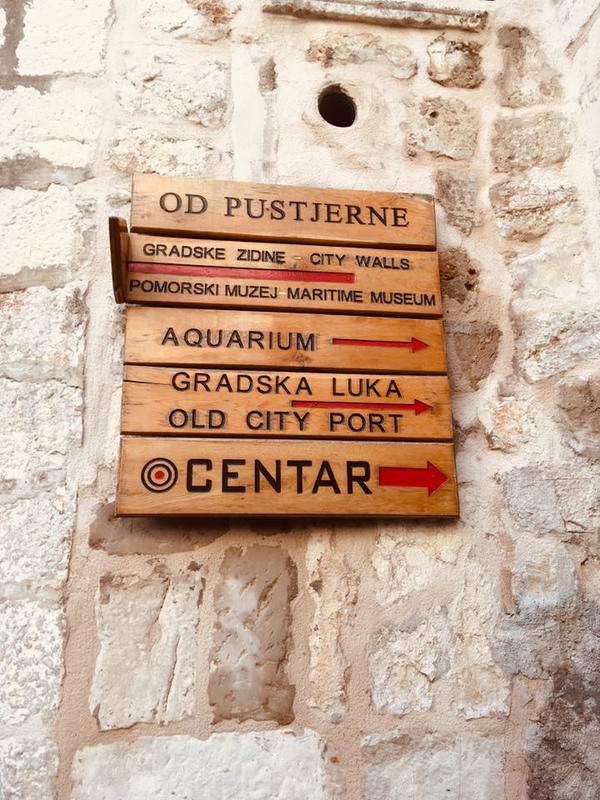 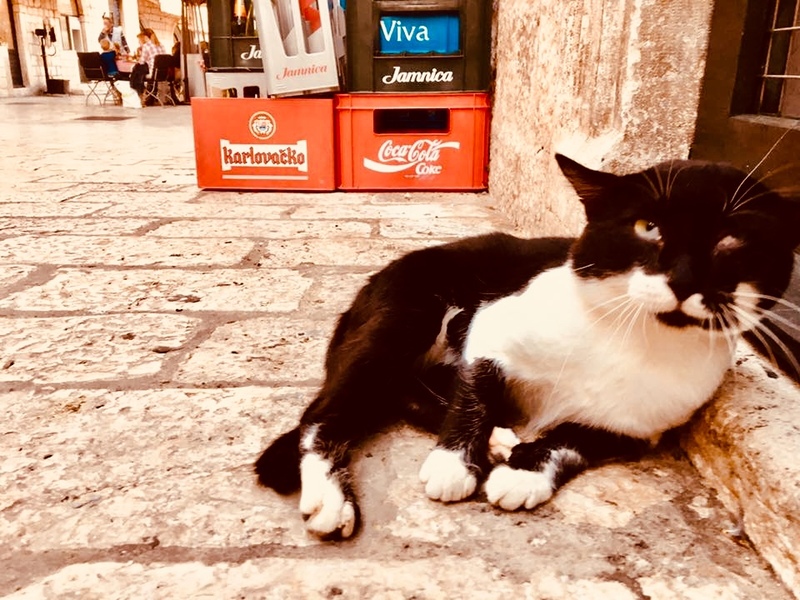 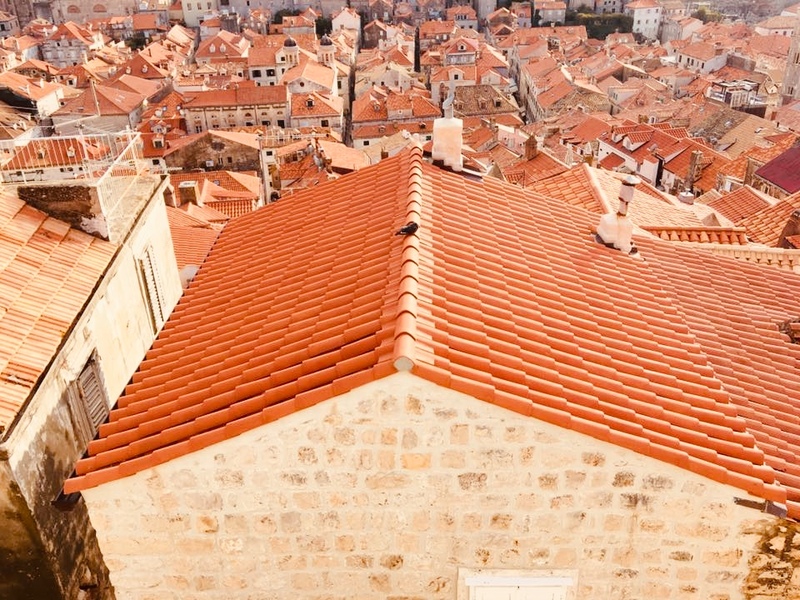 Having been affected by its fair share of conflict over the years, there are remnants of this within the city – shrapnel holes and bullet wounds etched into some unlucky candidates of Dubrovnik’s architecture. 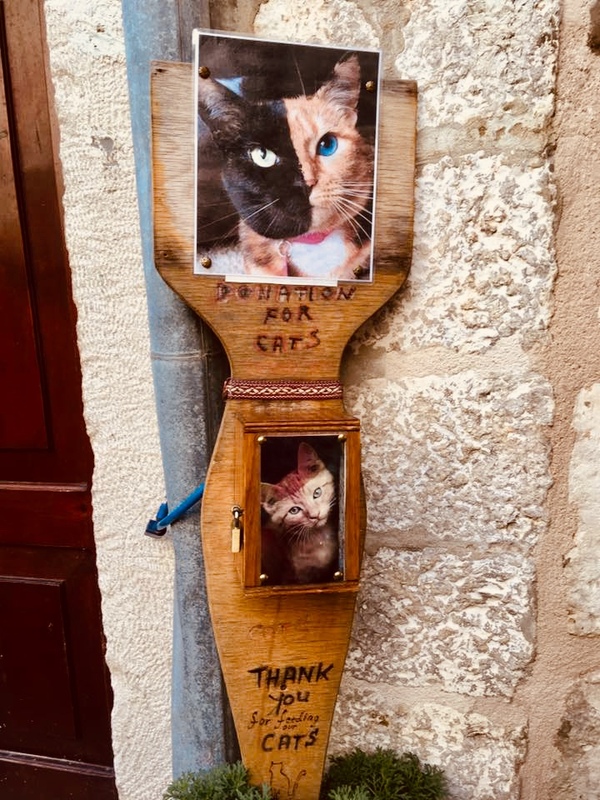 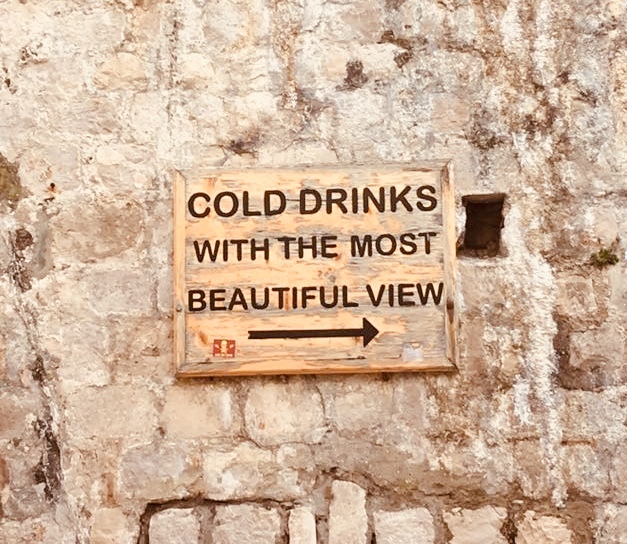 However, with glorious green shutters adorning the enchanting nooks and crannies of the winding and clandestine streets, the simply stunning bay surrounding Fort Lovrijenac (the Fort of St Lawrence), sunset kayaking tours around the Adriatic, the mysterious island of Lokrum with its monastic legends and curses (and its many peacocks and rabbits), the warm and inviting terracotta roofs cascading down the hillside to the hundreds of cats parading the streets in search of their next morsel and a solitary guillotine popped randomly in a residential garden, Dubrovnik’s power is encased within its mesmerising and epic city walls; now and luckily for us, a protected world heritage site constructed between the 12th-17th centuries – all waiting to be explored in the modern day and age. 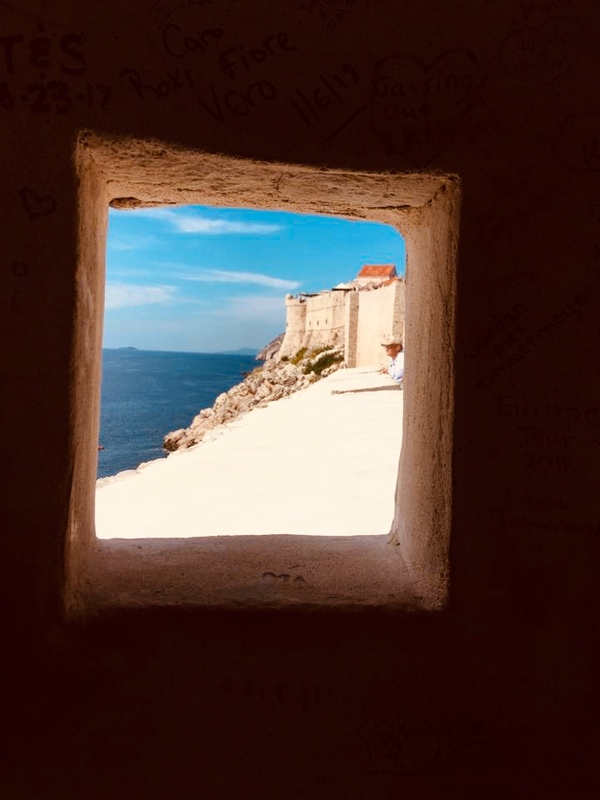 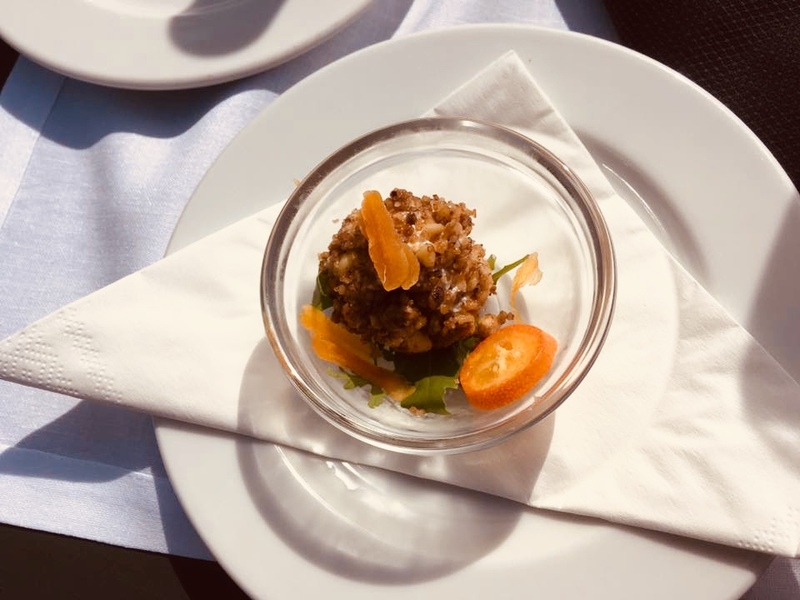 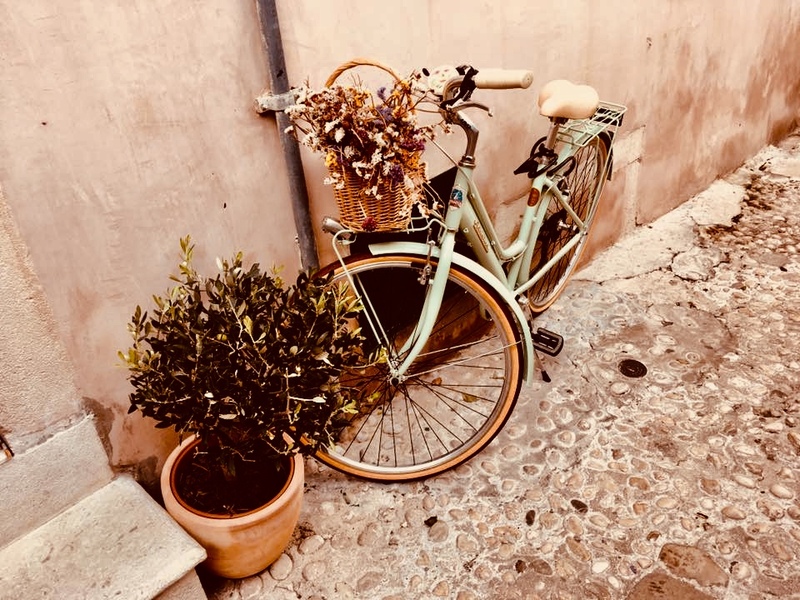 But hurry – the price for entry to the walls is set to go up from 150 to 200 Kuna (HKR) next year (from £18 to £24 GBP) – it’s worth it for the photos you’ll capture, the views that you’ll see for miles and the memories you’ll treasure for a lifetime.